Advertisers' perceptions of comic-strip readers become clear in the minutes of a March 12, 1932, meeting of J. Walter Thompson's creative staff. When a discussion of the popularity of Cliff Sterrett's Polly and Her Pals arose, copywriter John K. Jessup said, "Sterrett is frequently asked where he met Polly and her family, where they lived and so on. Such credulousness is only found among the sub-morons among his readers. But, Sterrett believes that that quality of realism which fools the cretins is what delights the morons as well." Ten years and hundreds (thousands?) 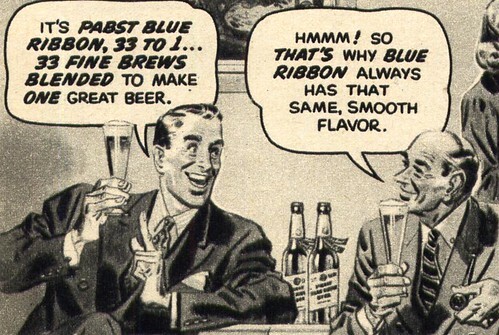 of comic strip ads after that meeting at JWT, Albert Dorne drew the two Pabst Blue Ribbon ads featured here today. 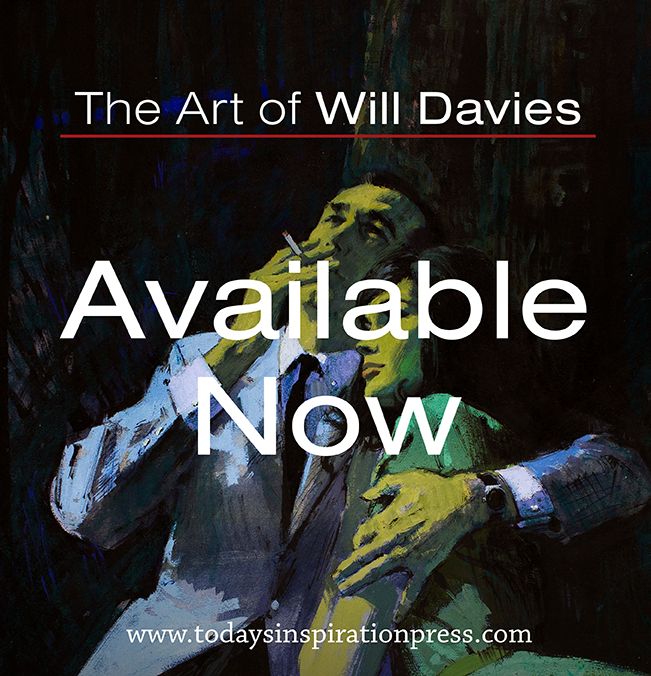 He was only one of many popular illustrators who didn't mind turning his talents to the lowly comic strip when an advertiser with deep pockets was footing the bill. Heintjes' article quotes cartoonist Creig Flessel as saying ,"There was Albert Dorne, Austin Briggs, Bill Sakren, Joe King, Stan Randall, Paul Fung, Milt Gross, Milt Caniff, Lou Fine, Stan Drake, Noel Sickles, Ralston Jones, Katie Osann . . . everybody went through there at some point. The talent level was just intimidating," at Johnstone & Cushing, the leading studio specializing in comic strip art for the ad industry. What was it about the comic strip form that proved so popular during those days? 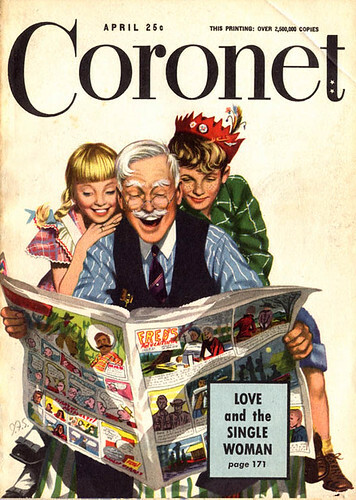 In those pre-tv times, newspapers and magazines were the primary source of visual media for the vast majority of society. And comic strips consistently rated as the second thing readers turned to after the front page of their daily paper. In spite of JWT copywriter John K. Jessup's scathing remark about the character of the typical comic strip reader, even he had to admit, "I think advertising... will have to make use of a modified form of comic strip. Only by sponsoring a comic strip can it probably take full advantage of the strip's popularity." 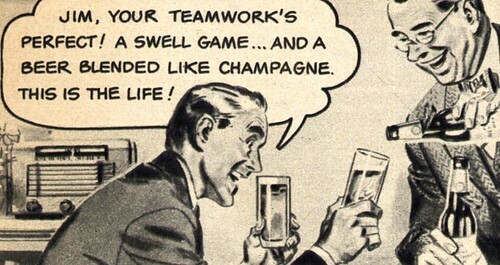 This week: a look at more comic strip ads from the mid-20th century. My Comic Strip Ads Flickr set. Great stuff Leif. I love this post. I confess to being one delighted moron about today's post. Have you seen the Gannam watercolor of the woman reading the sunday comics on the bed? A similar motif.